For those of you who may be new to the party, Soapbox is the best tool available for creating a quick talking-head video, screencast, or presentation and sending it out via email. But if you’re in a sales or business development role, knowing how someone reacts to any video you send is incredibly important. It’s not enough to get a read receipt and assume the video has been watched: You want to know when someone has watched your video, how much of it they got through, and whether they clicked your Call to Action. In fact, you probably want to be told as soon as someone watches your video so you can jump the gun and send out a timely follow-up. All of this is now possible with Activity and Alerts, now live for Soapbox Pro users. While Activity and Alerts in Soapbox are powered by the same technology as the Wistia stats you know and love, we’ve completely changed the way your data is displayed. The new setup ensures the information you care about most is right in front of you whenever you check your Soapbox Activity Feed. The UI is deliberately clean and simple, showing you just a list of all the recent views, with a percentage watched number next to each view, telling you how far someone got through the video. A link icon next to a view tells you that this video has a CTA, and green tick tells you that the CTA was clicked. Soon we are going to be integrating more detail into Soapbox activity and alerts - giving users insights into how their videos are performing as a whole, not just individually, but we hope this is a valuable first iteration. 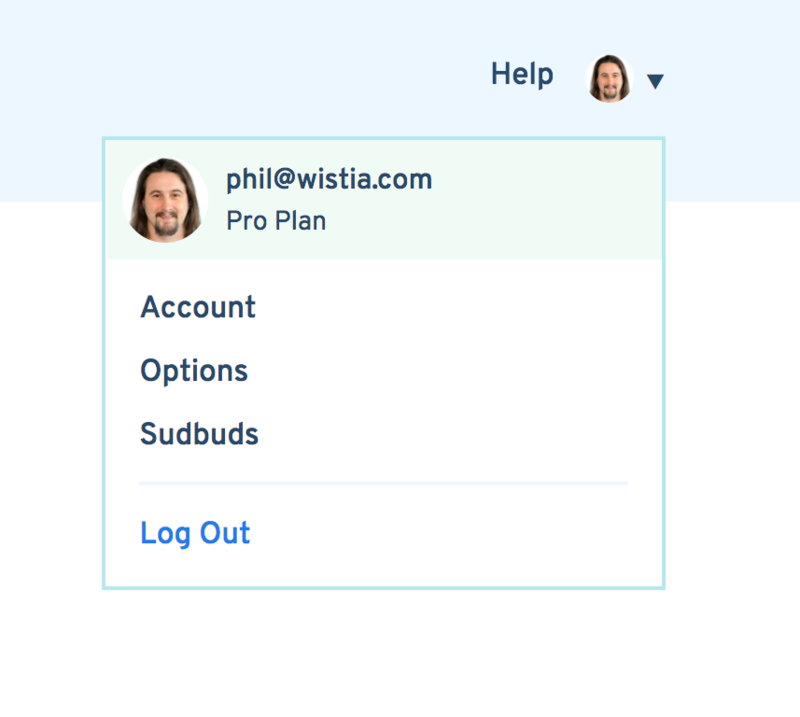 As part of this release, we’ve also made a bunch of small but important improvements to the Soapbox account menu and navigation. You can now see which Google account you’re logged in with, and access more options for customizing the settings of your video from a drop-down on the right-hand side of the Account page. We also added some videos to the Soapbox Help Center, so if you’re struggling to get started or just looking for inspiration, head on over to access a bunch of tips and tricks from our own Chris Lavigne.